Swimman announced that it had waterproofed the in-line controller on Apple's proprietary earphones for the 3rd generation iPod Shuffle. 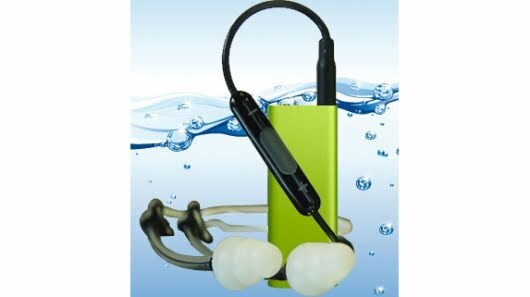 Now the company has turned its attention to the device itself, protecting it from water damage to a depth of 25 feet without adding weight or bulk.Using its proprietary internal waterproofing technology, Swimman has managed to give 100% protection against sweat, snow, rain and water damage without adding weight and bulk to Apple's 3rd generation iPod shuffle. Paired with the recently waterproofed Apple in-line controller earphones, the company reckons it will satisfy even the most extreme of extreme sports workout.Swimman's Beverly Dressell said: "For a number of years we have been waterproofing the best mp3 players and iPods including the 2nd generation iPod Shuffle so that active people and swimmers can workout to their tunes or audio books and keep their audio safe and protected without the need for a bulky and potentially leaky case. By internally waterproofing the new iPod Shuffle, we have created the perfect workout partner that can withstand the most extreme environments encountered in active sports including extended submersion in water to over 25 feet in depth."